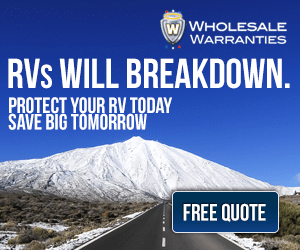 Well Love Your RV! is finally getting some solar! 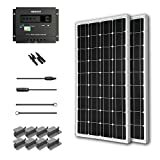 This Christmas, Santa (my lovely wife) sent me a special package from Amazon containing a brand new Renogy 200W Solar Kit. Woot! This is a starter kit and will get our feet wet in the solar power thing and hopefully help wean us off our Champion generator. 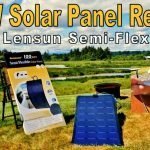 I decided to go with the Renogy panels after reading so many positive reviews about them and the attractive price for the kit. Contained in the kit is almost everything I need to get the solar juice a flowing. You are likely asking “What took you so long?” Well, there are a few reasons. We already had the Champion Generators. 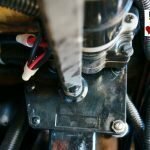 When we first got the rig we knew we would love boondocking and require our own power source. We had an older dog that would overheat very easily so needed to be able to run the air conditioner while off grid. Running the AC off of a solar system isn’t really practical so our money was spent on the generators. Before laying out the cash for solar I wanted to make sure our energy needs were whittled down to the point that we could really take full advantage of it. With this in mind we put our spare funds into LED lighting, an energy and LP gas saving Big Buddy Propane Radiant Heater, and a fresh pair of high capacity 6 volt golf cart batteries. Also my photographer wife recently purchased a small laptop which will keep her off her power hungry large desktop computer for the most part, a major power savings. The laptop last over 8 hours per charge! We only need it for around 4 months per year. Even though we absolutely love to be off grid and visiting beautiful boondocking locations we still are most often than not on full hookups. So solar power wasn’t high on the list of must haves but more of a want. 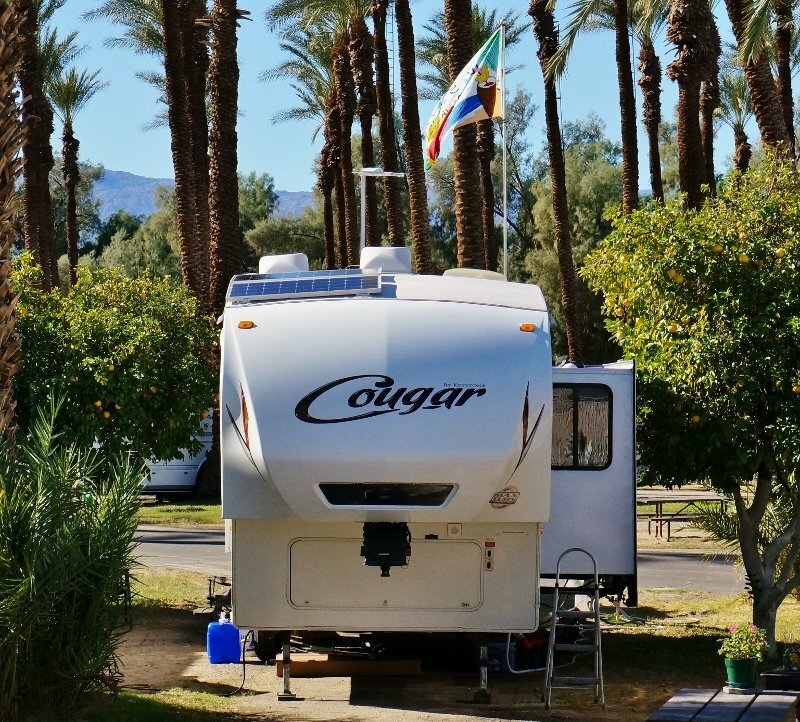 Our Keystone Cougar with solar! First thing to do was plan out where I was going to mount the 2 100 watt solar panels on my Keystone Cougar fifth wheels roof and the best routing for the wiring. I wanted a spot for maximum power so chose the very front of the roof area where it starts to curve downwards. 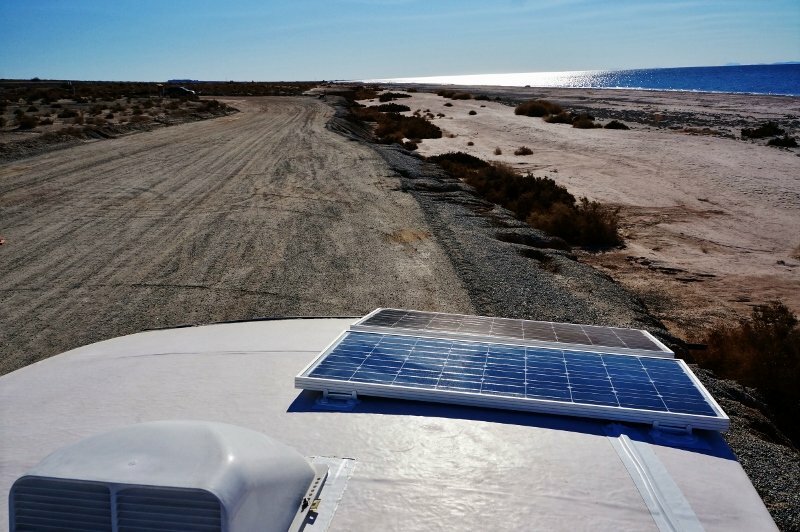 When boondocking I always try and point the nose into the mid-day sun to help keep the rig cool (We have very large windows on the backside). 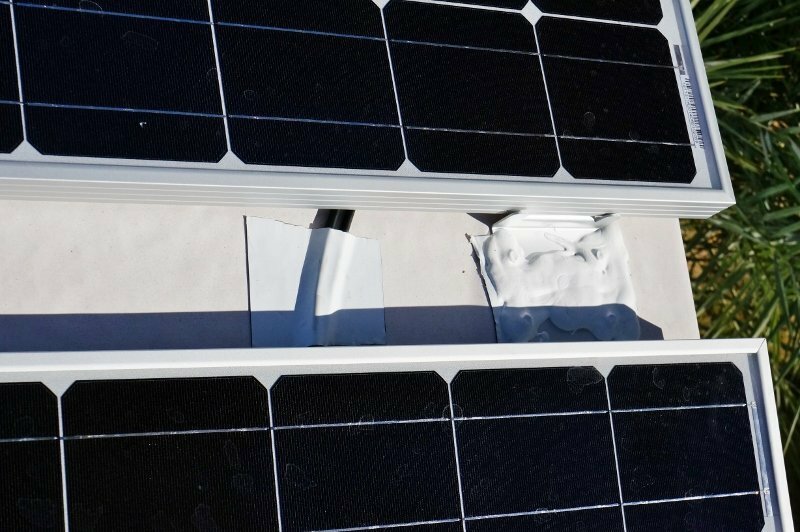 So, by placing the panel’s right up front they will get the best solar coverage and will have a slight tilt into the sun. 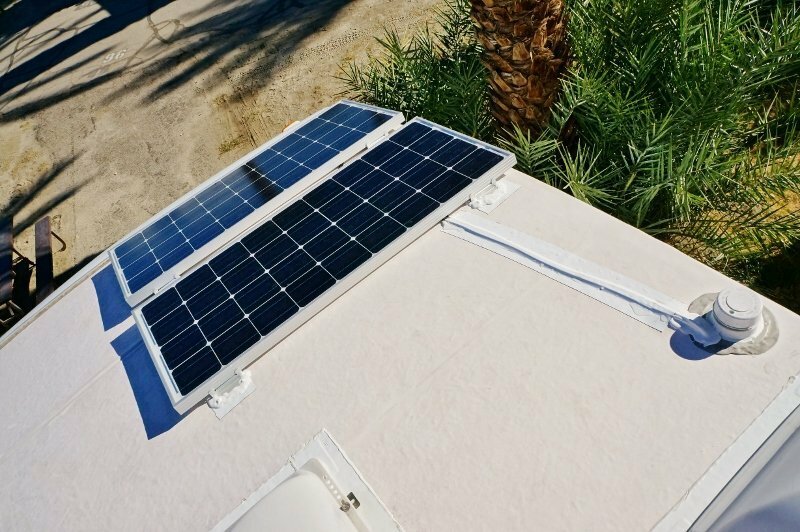 Also it would pretty well nullify any chance the panels would be shaded by other things on the roof top. 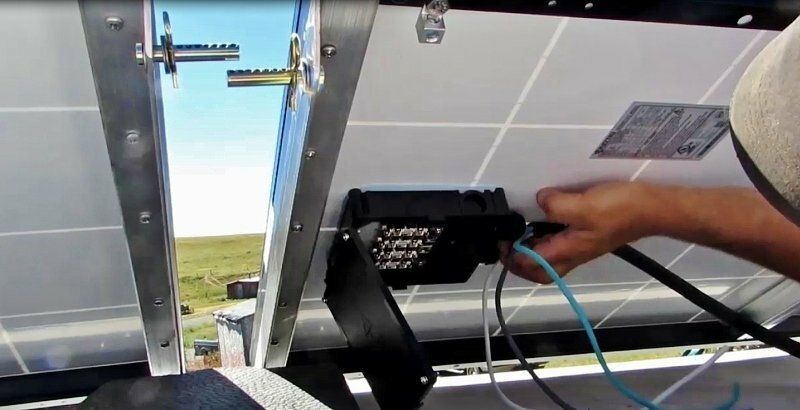 Many folks who boondock for extensive periods will install special brackets and tilt the whole panel towards the low winter sun. I decided to keep it simple and permanently attach mine flat as we tend to move around a lot. I’ll lose some potential power in the winters low sun versus a tilting system but can always add more panels to make up for it. The kit came with 8 “Z” brackets and screws for mounting; I just had to provide the sealant. 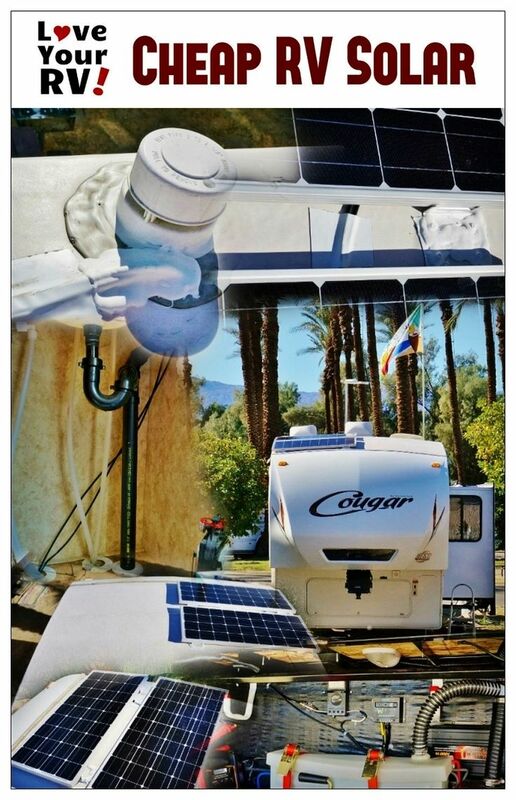 My Cougar trailer has a EDPM rubber membrane type roof so I decide on Dicor brand Lap Sealant and Eternabond Tape. First I cleaned the area really well and under each mount point adding some Eternabond tape as a base. Then I drilled some small pilot holes for the screws and added a dab of sealant around each hole. 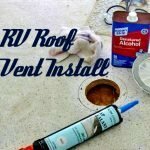 I was very careful here as I didn’t want to drill too deep and possibly hit an electrical wire running through the attic space. I dipped each screw into the sealant and slowly tightened down the mounts, being careful to not over tighten and cause the screw to lose its bite in the wood. To finish the mounting off I encased the screw tops and mounting tabs in a generous amount of the Dicor self-leveling sealant. 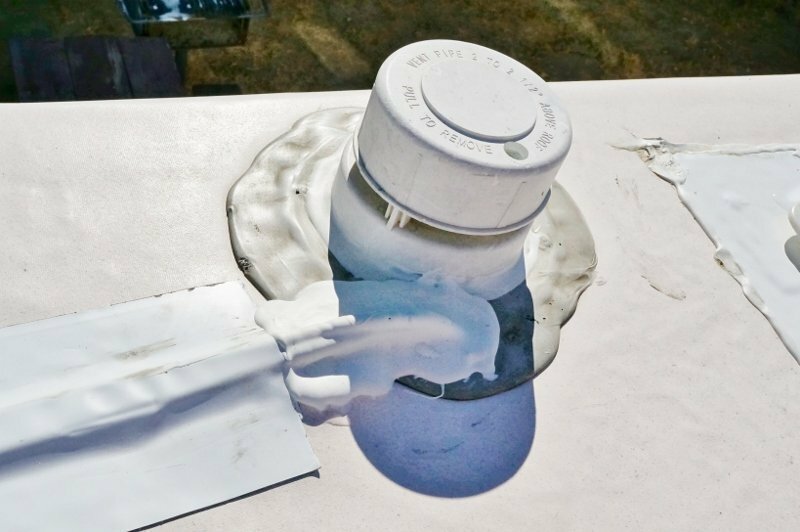 The kit came with all the panel wiring connectors ready to hookup in the form of waterproof MC4 connectors that just snap together. I hid them under one panel and any exposed wires I used some Eternabond tape to keep them neatly in place. 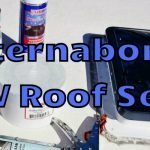 By placing the panels way up front on the roof, right above the batteries, I was also able to keep my wire length to a minimum. 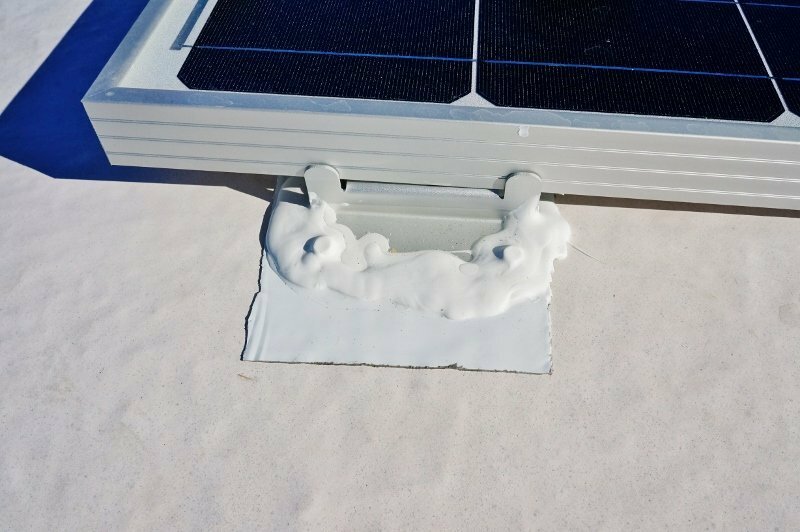 This is critical to getting the most power out of your solar panels as every extra foot of wiring eats up energy. I found an excellent path to run the wires right next to the gray tanks plumbing vent pipe. 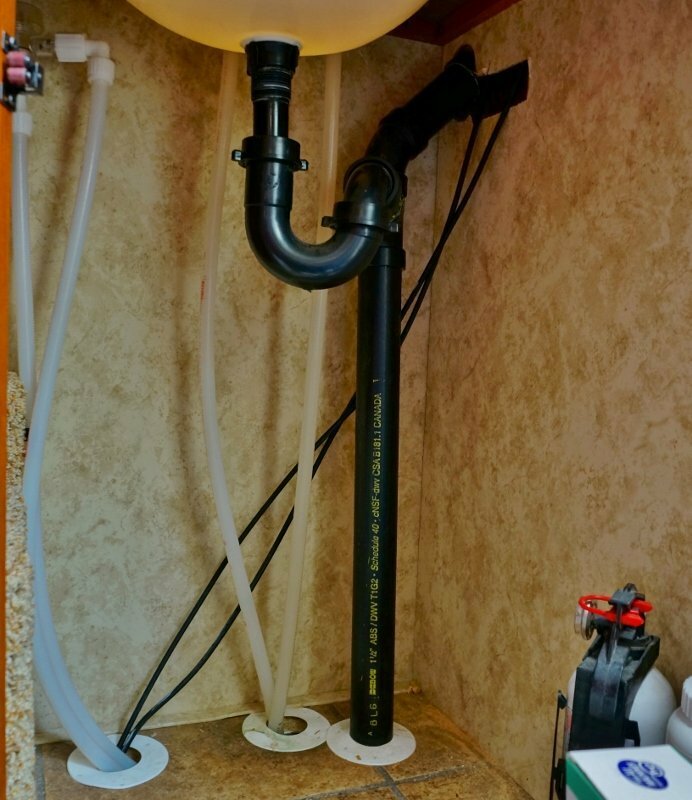 This pipe runs from underneath the bathroom sink and inside a wall to the roof. Perfect! 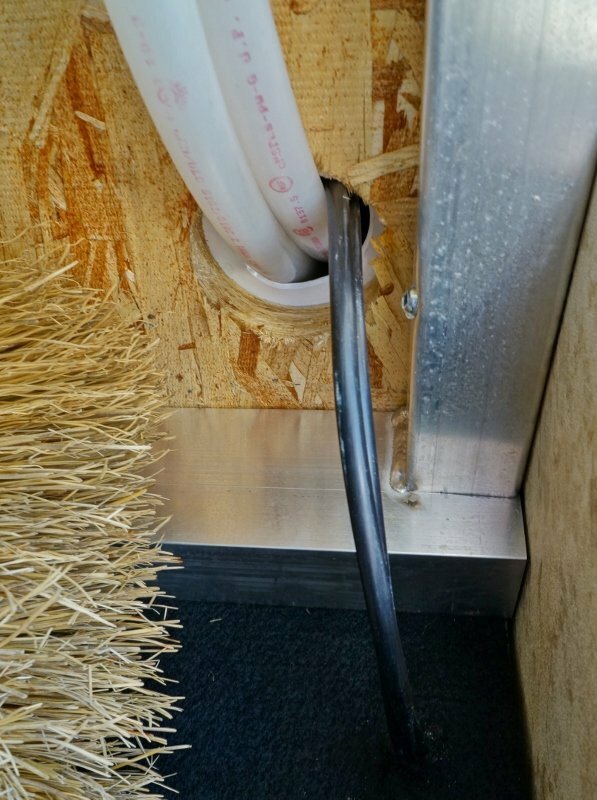 So I carefully drilled out a hole next to it just large enough to accept the two wires and fed them down inside the wall. Next I fed them through an already open plumbing access hole into the basement storage. Finally, all I needed to do was drill out a small hole in the wood wall separating the basement storage and the front compartment where my batteries live. This worked out really well as I was able to make the run from the solar panels right to the battery area using only about 16 feet of the 10 gauge wire Renogy included in the kit. Now that I had the wires from the panels, I next needed to add wires from the batteries. I purchased a couple heavy duty 3 foot automotive battery cables. You want the wires from the controller to the battery to be a large gauge and a very short run, these would do the job. 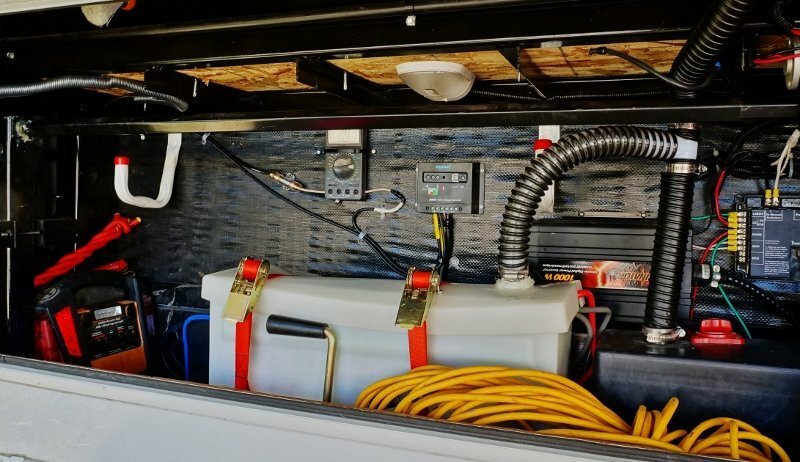 I mounted the 30 amp charge controller on the wall in the back of the front storage compartment next to my 1000 watt Inverter and just behind the battery box. 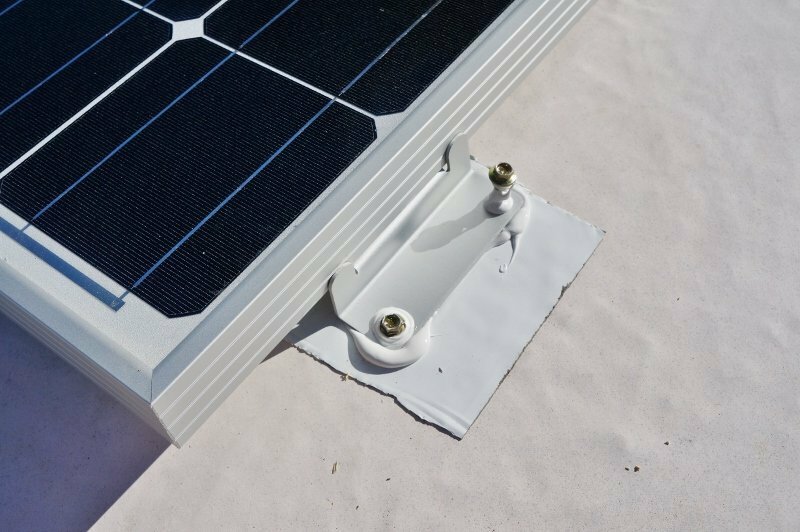 Before hooking it up I installed 2 – 30 amp fuses for circuit protection, one fuse inside the battery box in the battery positive line and the other on the wall in the solar panel positive line. Next I covered the panels with a blanket so they weren’t outputting power and hooked up all the wires to the charge controller. Once the blanket was removed and the sun hit the solar panels I was in business and the charge controller came to life indicating everything was A-OK.
It’s nice to know how much power you are getting from the solar system and battery charge state. There are many nice monitors on the market and I have my eye on a few but they are up in the 200 dollar range so for the time being I’ll have to rely on my own cobbled together system. 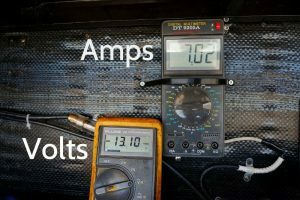 Being an electronic technician I have several spare multimeters lying around so decided to hack one of the cheap ones and use it to monitor the amperage coming off my solar panels. I took it apart and soldered a couple heavy wires in the 20 amp max current measuring circuit and placed it in line on the positive solar panel feed. With this and the voltage measurement on my Fluke multimeter I can get an idea of the system performance. I’ll make do with this until I can afford a fancier solar power monitoring solution. Price Breakdown for Total of $423 plus taxes. 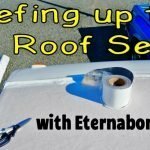 I’m currently writing this post dry camping in the Southern California desert with a clear sunny day at hand. I arrived yesterday with a fully charged battery bank. 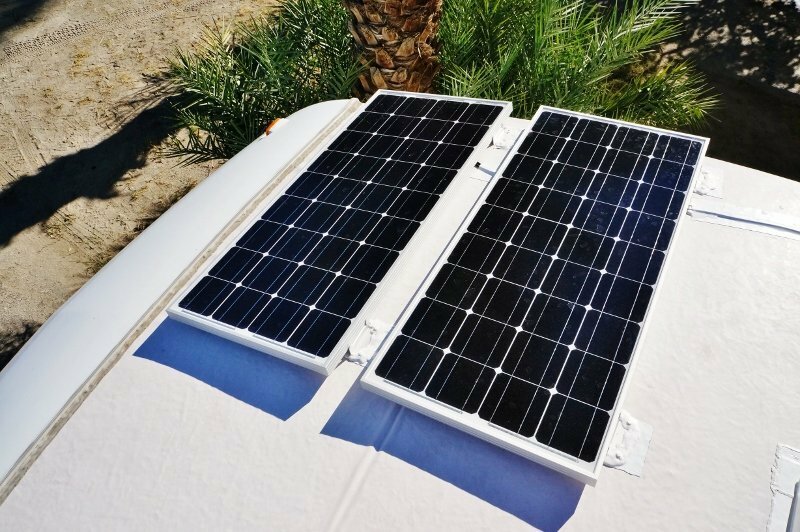 During the day the system performed well, easily maintaining the full charge on the 235AH battery bank. 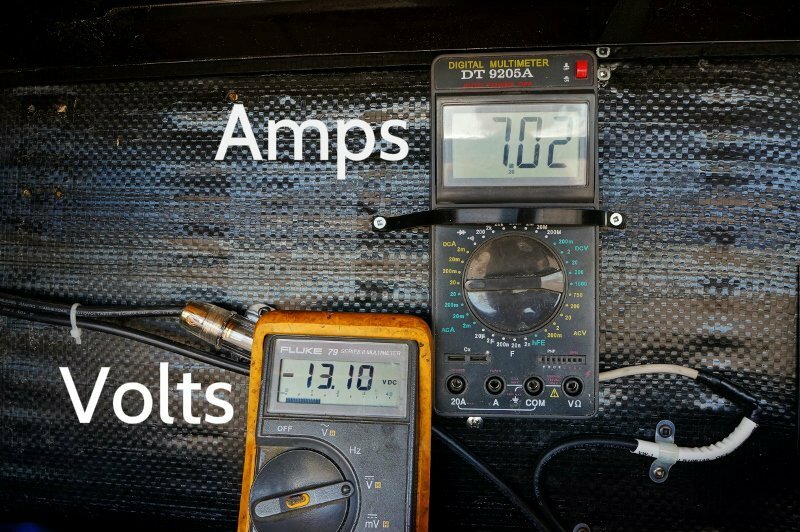 During the highest sun I plugged in my small shop vacuum to give the inverter a good load and see what kind of peak wattage the panels could provide. I recorded 8.25 amps @ 13.25 volts. I was very happy with that as it is one of the lowest sun angles of the year. Once the sun went down at 4:45 PM I used two LED lights, my 17” laptop, a portable tabletop radio, and MiFi internet hotspot most of the evening, I also watched 1.5 hours of TV on my 32” LCD screen. I did not use the furnace while awake but instead used my Big Buddy Heater which consumes no energy. I hit the hay around 10PM and ran the RV furnace, and it’s power using fan, all night maintaining the rigs heat at 64F. It was a chilly night dropping down to the high 30’s. I got up about 6:30AM and turned off the furnace, using the Big Buddy again. The batteries showed a voltage of 12.45 volts on my meter. 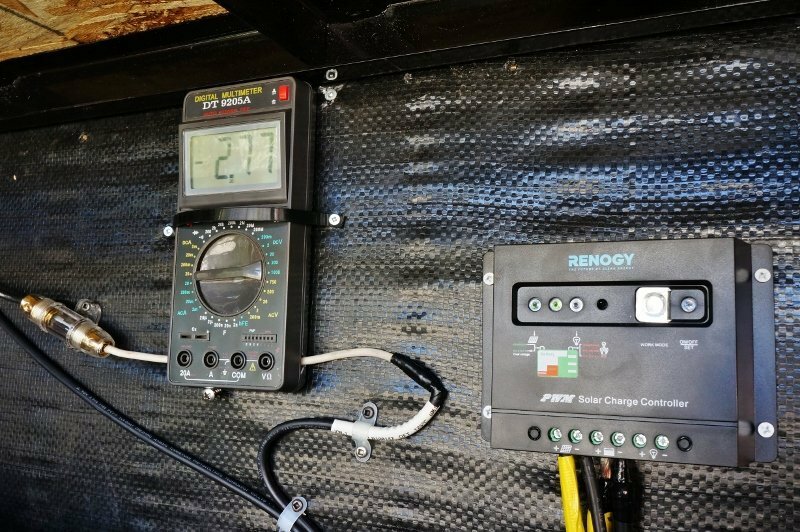 Once the sun came up the panels started working again and by 9AM were showing 6 amps of output, by 10Am it was 7.5 amps, by 11am it was 8 amps and peaked at 8.36 amps around noon. 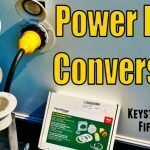 The two panels were able to bring my batteries back up to a fully charged state again before the sunset and that was with the Inverter running all day while I prepared this post on my laptop. I’m extremely pleased with this Renogy Kit, especially considering the price. 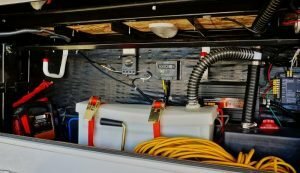 I believe with a little conservation on our part we will greatly reduce the run time on our generators now, only needing to fire them up on cloudy days or if we want to run a high wattage item like the AC, microwave or toaster. I left room up there and will definitely be adding another 2 – 100 watt Renogy panels on the other half of the roof up front to bring the system up to 400 watts. I also hope to upgrade the charge controller as the one included is a very basic model. 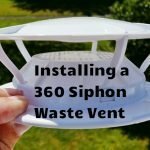 I know there are more efficient units with some cool extra features on the market.